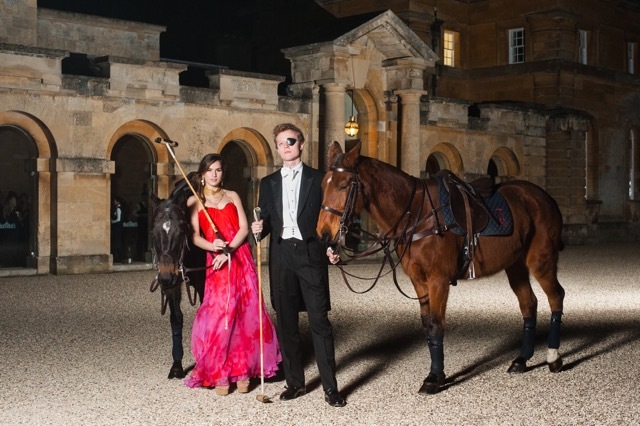 Sally Schwartz and Tom Humphrey attending the annual OUPC White Tie Polo Ball at Blenheim Palace. The Oxford University Polo Club’s recipe for success is teamwork. 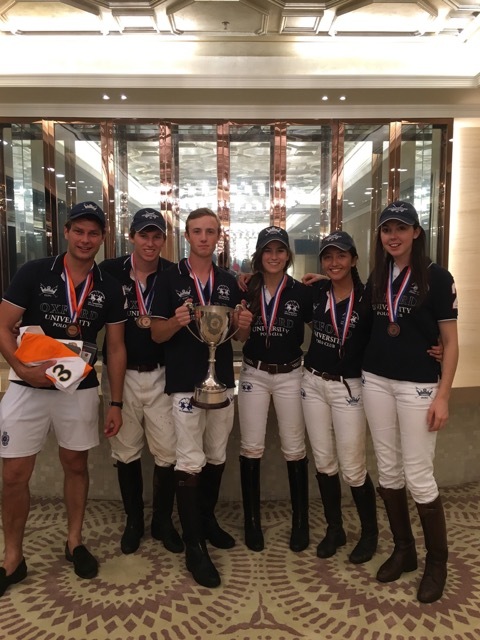 Oxford scored a huge victory in the Metropolitan Intervarsity Tournament, also known as The London Challenge, a prestigious collegiate polo tournament of co-ed American and British teams — Harvard, Cornell, Skidmore, Cambridge and London — in July 2016 at the Tianjin Goldin Metropolitan Polo Club near Beijing, China. 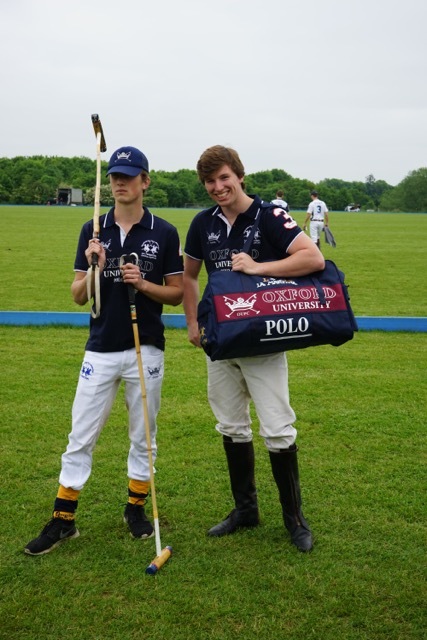 The Oxford University Polo Club (OUPC) wasn’t favored to win, but earned the title with distinction by playing without an official coach and being the only undefeated team. Oxford’s team included Lizzy Hamilton (reserve), Charlie Hitchman, Louis Maddison, Sally Schwartz and Heather Winsor. 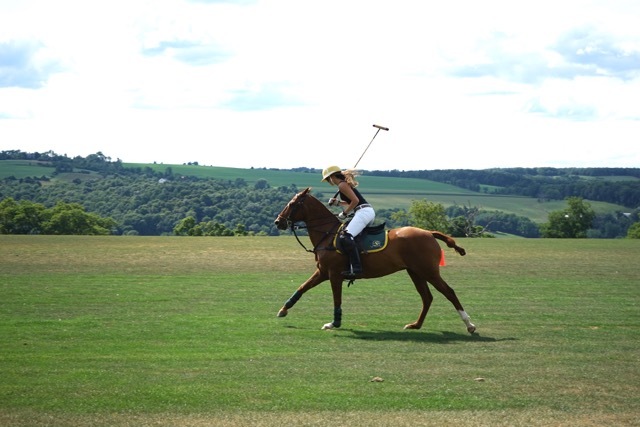 Sally Schwartz stick and balling in Millbrook, New York, at Smithfield Farms during her first summer playing polo. “I can’t imagine a better place for me than Oxford — it’s the most magical place,” said American Sally Schwartz, who started playing polo three years ago under the tutelage of Julio Ezcurra at Mashomack Polo Club in Pine Plains, New York. 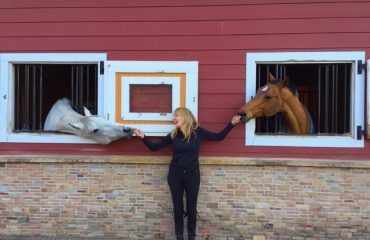 Her passion for riding ignited at the age of 2 in Millbrook, New York, where she grew up doing a bit of everything, including eventing. 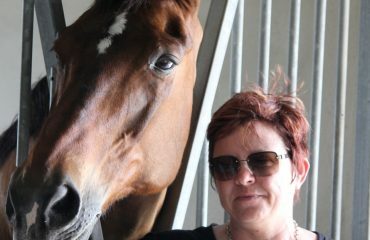 Today, she mostly trains young horses, foxhunts, hacks out and plays polo as much as possible. She has played in Wellington, Florida, with Julio and in Los Angeles, California, with HYT Polo’s Hannah Taylor and Ernie Ezcurra. Playing for Oxford has taken her all over England and to China. Oxford, top-ranked university in the United Kingdom (UK) and one of the world’s top five, cites the U.S. as its largest source of international students. American Tommy Hitchcock (1882, Varsity) was one of Oxford’s first 10-goal players, but women have figured prominently in Oxford’s polo history. One of the things Sally loves most is that the Oxford team is fully coed. In her third and final year of study, Sally graduates this spring from Oxford with a degree in history of art. She serves as the polo club’s external relations officer, handling social media, press and some special trips and events. 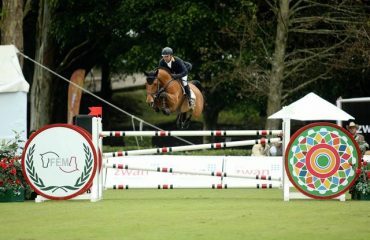 This year, she’s also captain of Oxford’s equestrian team, which competes similarly to the U.S. intercollegiate system. 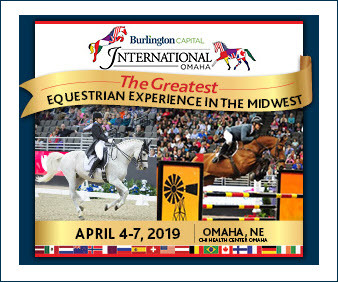 At shows, riders on each team have a seven-minute warm-up for dressage and five-minute warm-up for show jumping — all on unknown horses. But polo’s her primary passion. 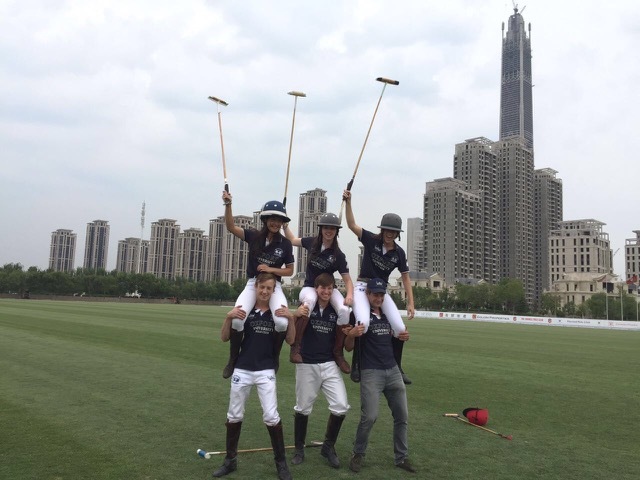 The winning Oxford Polo Team in China at the Metropolitan Polo Club horsing around. Oxford University Polo Club depends on its members to run the organization and take on various roles to keep it organized and moving forward. In the last few years, the students’ intense dedication to promoting polo has made OUPC grow by leaps and bounds. Elli Gilje and Lizzy Hamilton, previous club chairs, took Oxford from 30 members to 70. 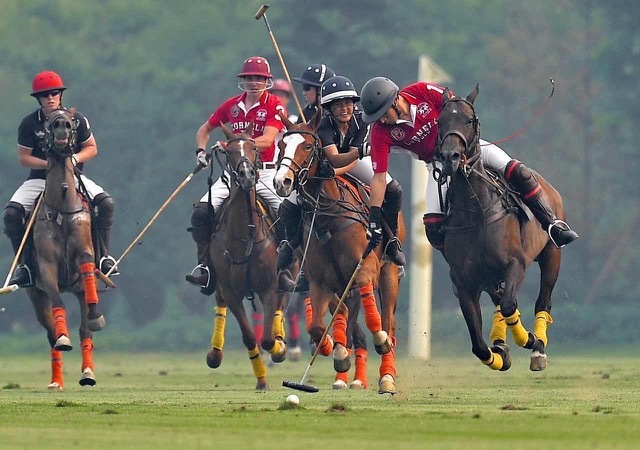 Lizzy initiated a vital tournament sponsorship with the renowned polo brand La Martina. 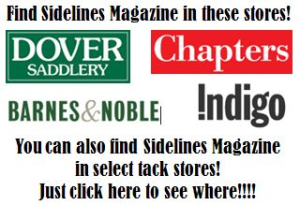 The students are very serious about finding as much funding as possible as it allows the club to provide financial funding for any student who wants to play. Getting hooked on the game has a lot to do with enthusiastic drive and determination. Issa Patel started playing several years ago under the tutelage of Glynn Henderson, former 5-goal international player from New Zealand based in the north of England, where his family lives. OUPC, founded in 1874 and one of the four oldest continuing polo clubs in the world, has a history of coed polo dating to the early 20th century. Women played chukkas and trained with the team, but the coed milestones took place when Claire (neé Lucas) Tomlinson played as “Mr. Lucas” in the 1964 Varsity Match and made history in 1966 when she became the first-ever female captain of OUPC. Claire made polo history as the first female player in the world to achieve a 5-goal handicap. At Oxford, the coed precedent is firmly established. The fiercely contested Varsity Match between Oxford and Cambridge dates back to 1878. In 2016, the team of George Pearson, Vere Harmsworth, Charlie and Louis provided Oxford’s 19-0 annihilation of Cambridge, breaking the match record of 19-1, set in 1911. Winning the La Martina Varsity Match and the Atlantic Cup made for an extremely busy and exciting weekend and, no doubt, contributed greatly to OUPC earning that Full Blue Sport status. It was in China for the 2016 Metropolitan Intervarsity Tournament that teamwork and self-coaching launched the Oxford team of men and women into the stratosphere of intercollegiate coed polo. 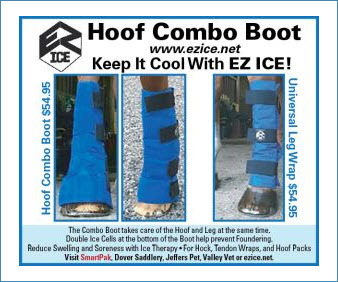 There’s no more decisive way to win a championship than to play undefeated on foreign fields aboard unfamiliar horses. Although Oxford didn’t have an official coach, they received excellent support from the sidelines by teammate Christiaan de Koning and by top-rated players Charlie and Louis. Heather Windsor and Sally taking their men during the Tianjin China Finals against Cornell. 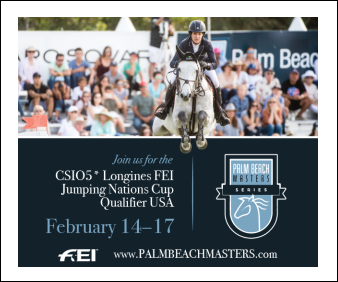 Winston Churchill, who often coached and played at Oxford, once said, “A polo handicap is a passport to the world.” The intense excitement of a team sport played at great speed on horseback makes it fun to participate and to watch. 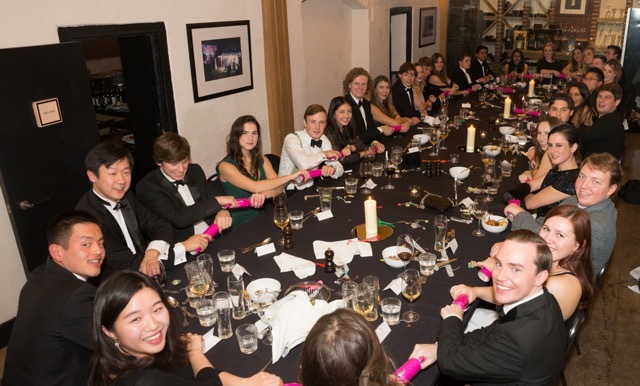 At Oxford, polo is a way of life that provides students with a home away from home, a substitute community/family and an immediate social life, to boot. It’s also a good reason to apply as an undergraduate. Louis Maddison and Charlie Hitchman modeling their OUPC La Martina clothing. 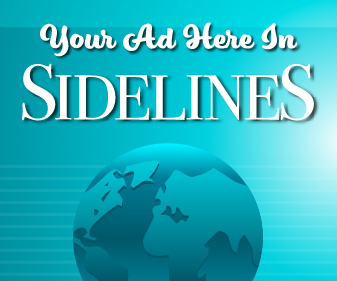 That seems to be the common ground for most of the OUPC team. Sally, Heather and Issa, along with other teammates on the committee, have been working to improve alumni involvement by hosting more matches and dinners and reaching out to polo clubs who indicate their interest in having Oxford alumni play. They’re driven and determined to make sure Oxford’s the best university polo club in the world. They’re also keen to keep playing.